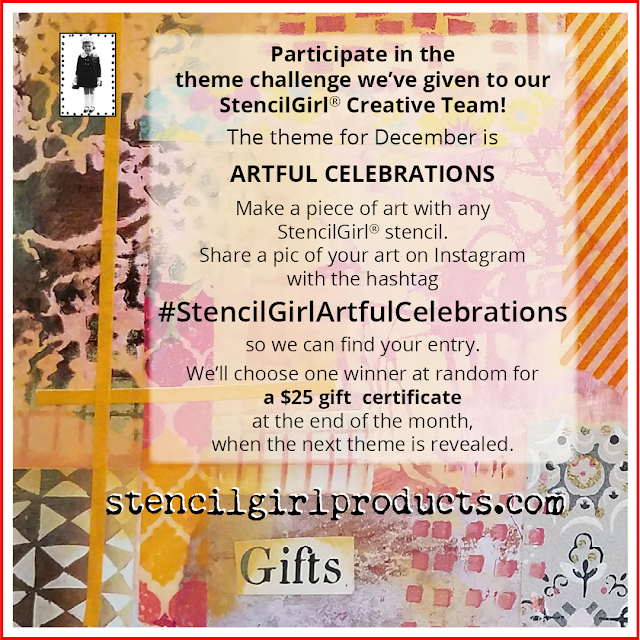 Want to win a Gift Certificate to StencilGirl® Products? Here's how! Our theme for December is Artful Celebrations! and use the hashtag #StencilGirlArtfulCelebrations to enter to win! We'll choose one winner at random at the end of the month, when the next theme is revealed!